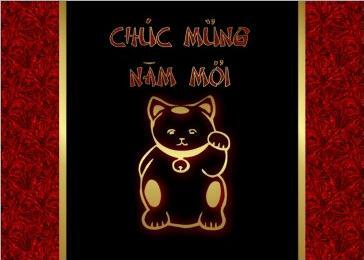 January flew by and it’s already Lunar New Year! I like sharing Tet with my Texan friends since my family is in California, but it can be time-consuming to prepare all the food by myself. My general policy for hosting is to make half/buy half and this year I focused on a smaller gathering with some new recipes I wanted to try. 1. 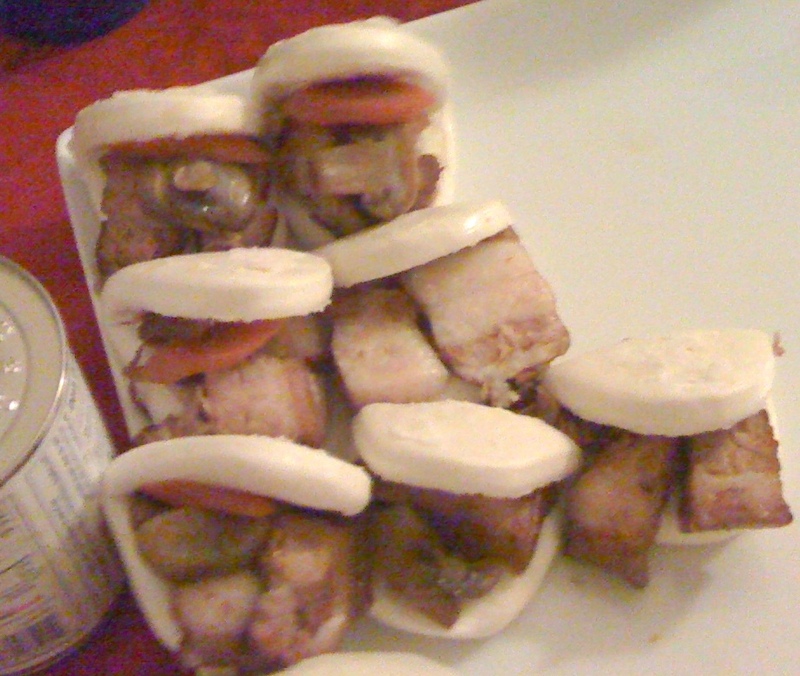 Pork belly sliders – I love Simply Ming on the Create channel! Most of his recipes are a bit more elaborate than I prefer, but I really wanted to try his pork belly recipe featured in an old episode with his mom. The full recipe can be found here: Red Roasted Pork Belly with Black Mushrooms and Carrots. This turned out yummy at first, but it didn’t keep well. As soon as it cooled, the meat tasted rubbery and the steamed bun dried out quickly. 😦 Plus I’m not sure I had the best pork belly selection since I scoured all the markets in town and could only find pork belly sold from frozen at MT Supermarket. I just eyeballed what looked like good proportions for the filling. I rolled the eggrolls and sealed them using a lot of raw beaten egg. Note to self: do not roll eggrolls on the floor unless lower back pain is the desired outcome. I made the eggrolls in advance and froze them before frying. On the day of, I heated about 1inch of canola oil in a deep pan to 375°F. I dropped the eggrolls in from frozen and waited until they floated to the top and browned. They look fine, but they lacked flavor, I should have used more oyster and fish sauce. They also weren’t as crunchy as when I rolled and fried them the same day. Strangely, each Lunar New Year, my eggrolls seem to get worse. Boo. 3. Green papaya salad – I pretty much used this recipe: Vietnamese Green Papaya Salad with Beef Jerky except I added a little shredded carrot for color. I green papaya can make a VERY large salad. I julienned the green papaya the night before because I knew it would take a long time. 1. 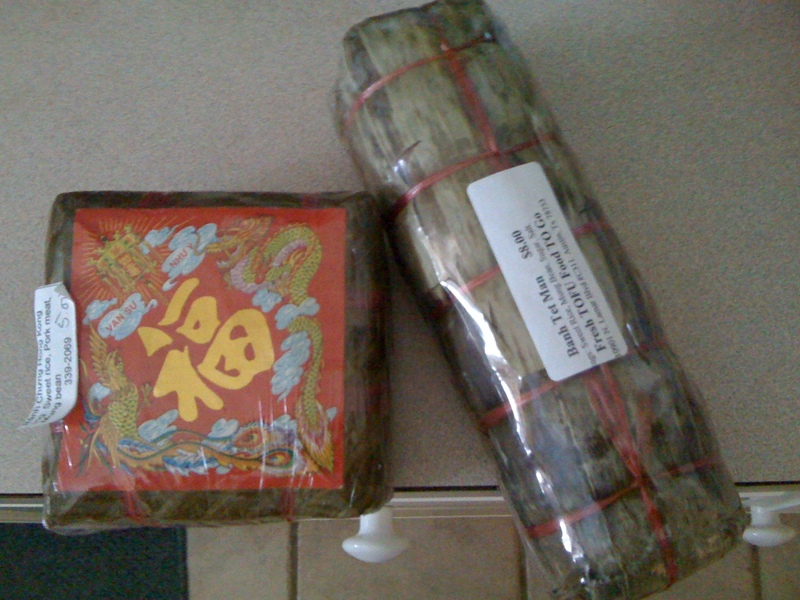 Banh Tet (Vietnamese New Year’s Sticky Rice Cake with Pork) – This would require lots of mixing, a steamer, and patience. Much easier to just buy them from the Asian market. 2. 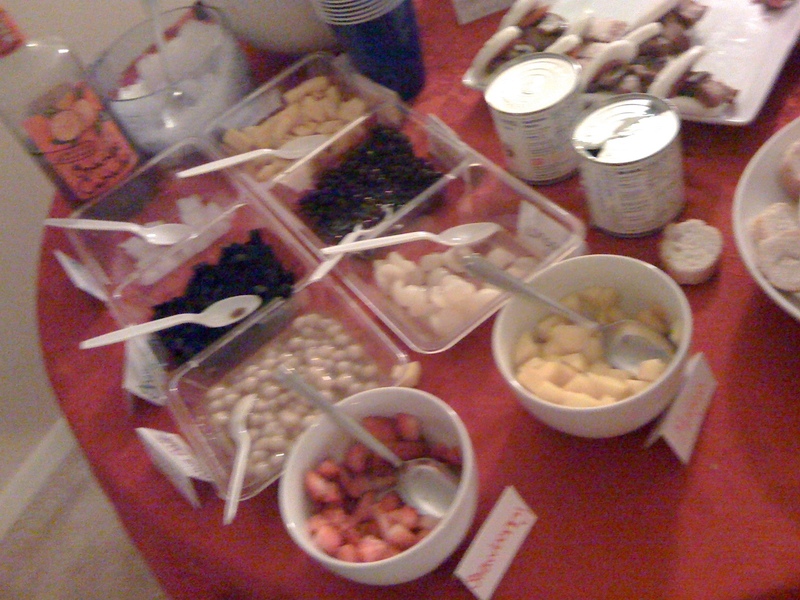 Toppings for shaved ice – I recently purchased a shaved ice machine and wanted to debut it at the party. I set up traditional shaved ice toppings for people to use: strawberries, mango, grass jelly, almond jelly, sweet red bean, longan, rice balls, and condensed milk. It just took some chopping and boiling of the rice balls. 3. 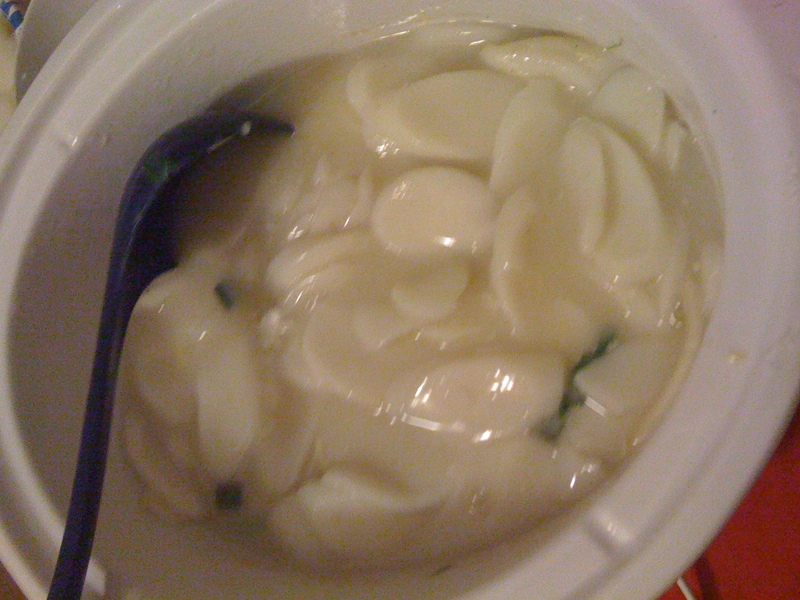 Ddeok Gook (Korean New Year’s Rice Cake Soup) – I took the easy route and bought a package of the rice cakes with the soup base included. I just had to heat up the water, add the rice cakes, stir in the soup base and an egg, and top with nori. I kept it hot in my slow cooker and left some stir-fry beef on the side as a topping. 4. 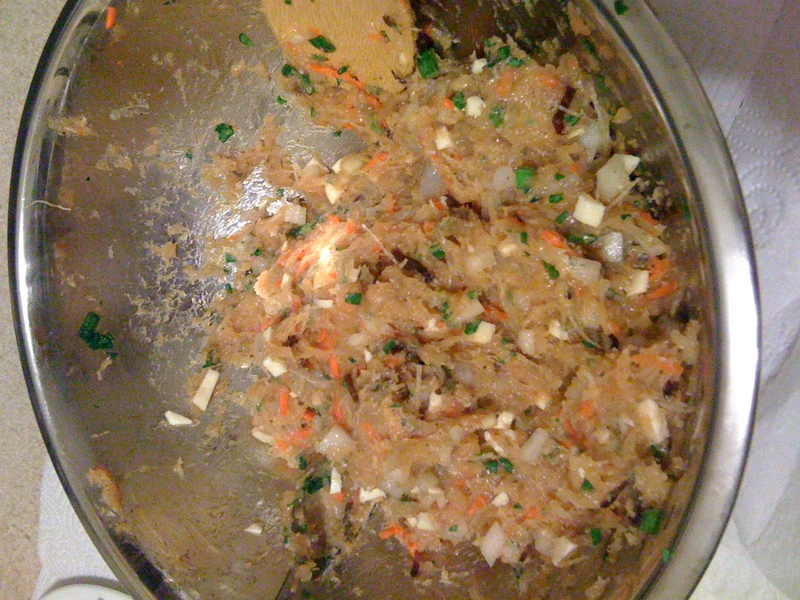 Veggie lo-mein – I attempted to make my own lo-mein for the first time and utterly failed. I think I undercooked the noodles so they tasted like a mouthful of flour–in the trash they went. I went ahead and bought some from a Chinese restaurant, Din Ho. All the food turned out okay, but nothing amazing. I think last year’s make-your-own-spring-rolls portion was more successful. But people were fed, I tried some new things, and good luck for the new year was wished upon all. 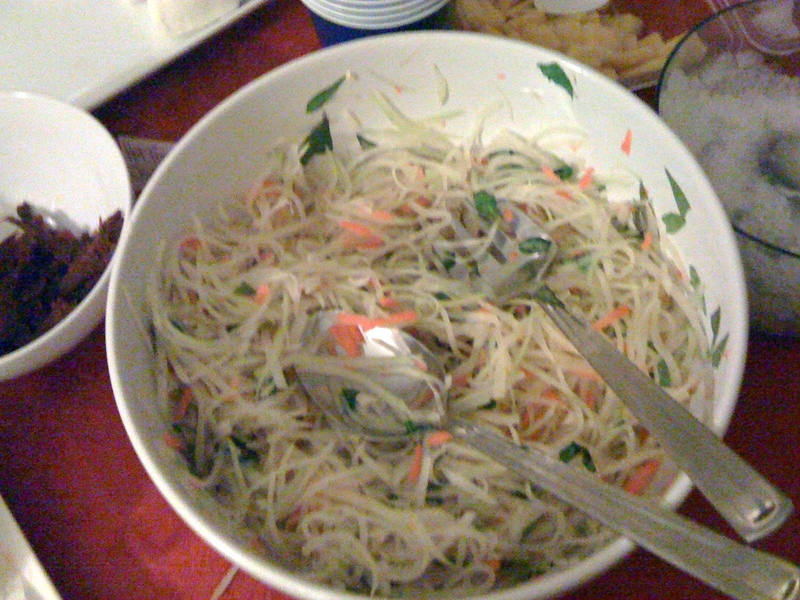 This entry was posted in Food and tagged Food, Lunar New Year, Tet. Bookmark the permalink.